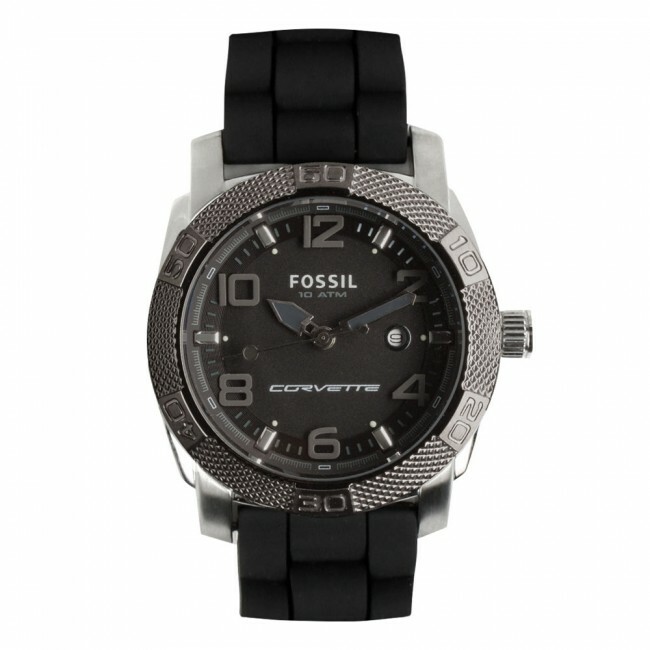 Stainless steel case with black dial and textured top ring. Black silicone strap. Three-hand movement. Water-resistant to 10 ATM. Decorated with Corvette C6 signature on the dial. Manufacturer's 11-year limited warranty.